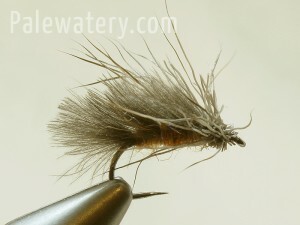 Hook: Partridge of Redditch Ideal Standard Dry SUD2 #12. 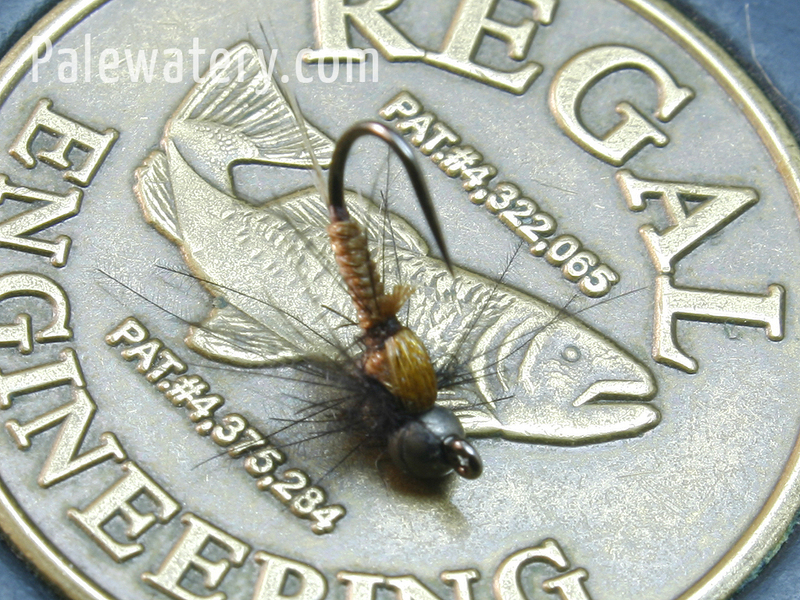 Thread: Semperfli Nano Silk 12/0 Brown. What I’m aiming for here is a good footprint on the water and a fly thats hard to sink. CDC tied in like a Sedgehog keeps the profile narrow and the scrunched up Caribou holds its shape well and looks quite “leggy”. Been working well so far. I often fish this pattern late in the evening and on into near darkness, to help see the fly I often use it tied with a black wing which shows up really well against silvery water. 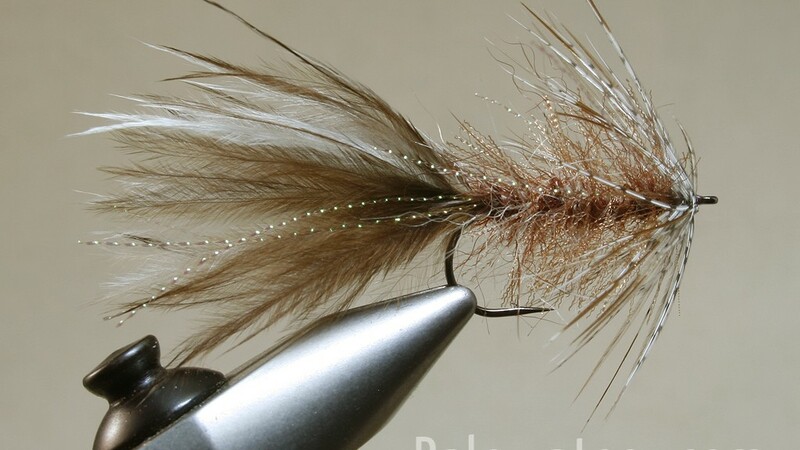 The tan and black winged versions have been enough for me so far but in the future I’ll probably get round to trying out a flouro pink or green winged version though Snowshoe dyed in those colours won’t be easy to find. 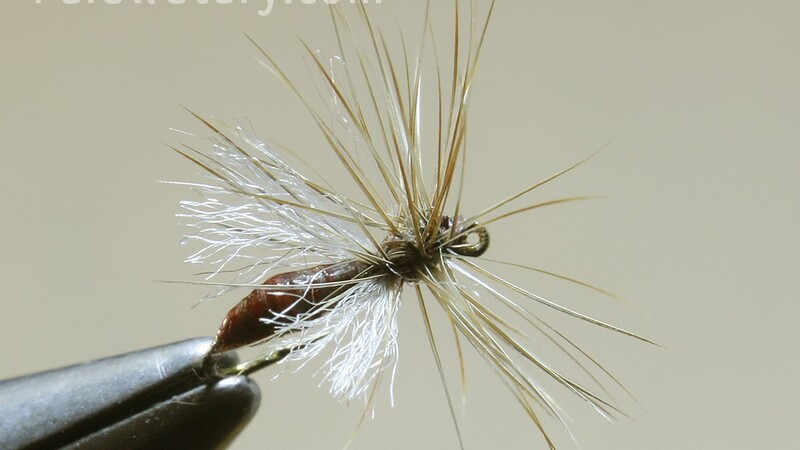 Hook: Partridge of Redditch Patriot Standard Dry SLD2 #10. 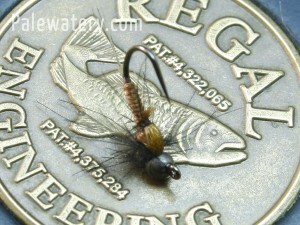 Thread: Semperfli Nanosilk 12/0 Brown. 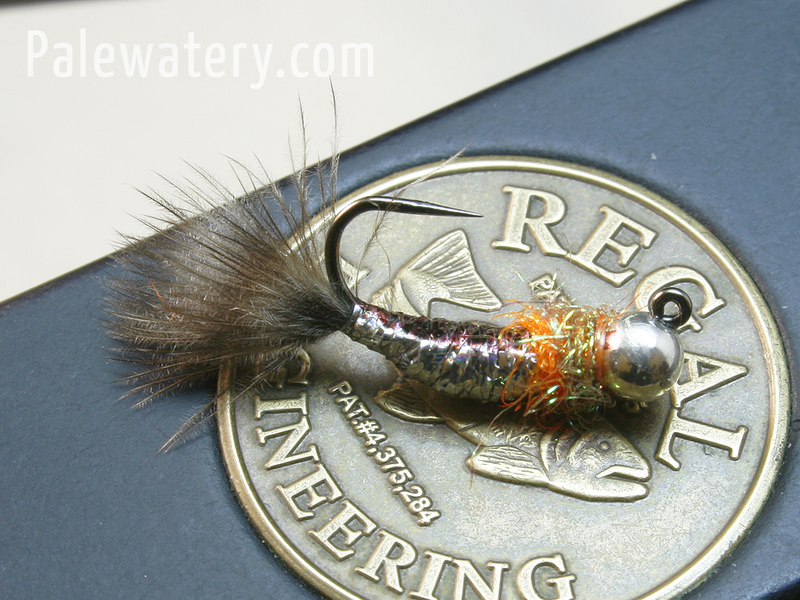 Body: Peacock Herl dyed Orange. 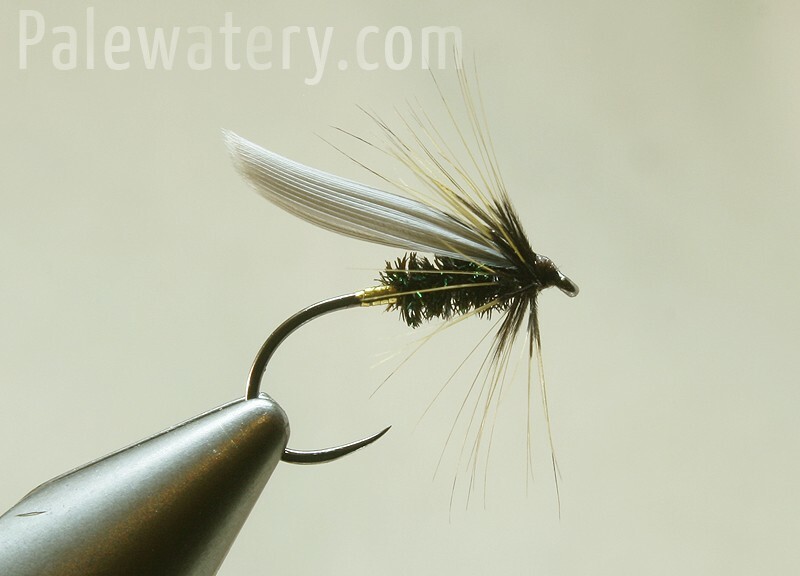 Of all the Clyde night flies this is the one that seems to catch me the most fish, regardless of its position on the cast. 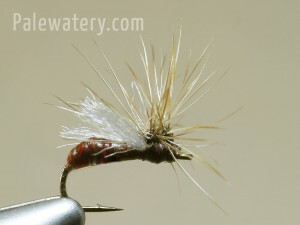 The original pattern calls for Bronze Peacock herl in the body and a Ginger hackle with a popular variant being a black hackled fly. This particular variant is one of my own and not tied because I think this material combination is any better, its just what I had at hand and doesn’t seem to be affecting the flies catch rate. 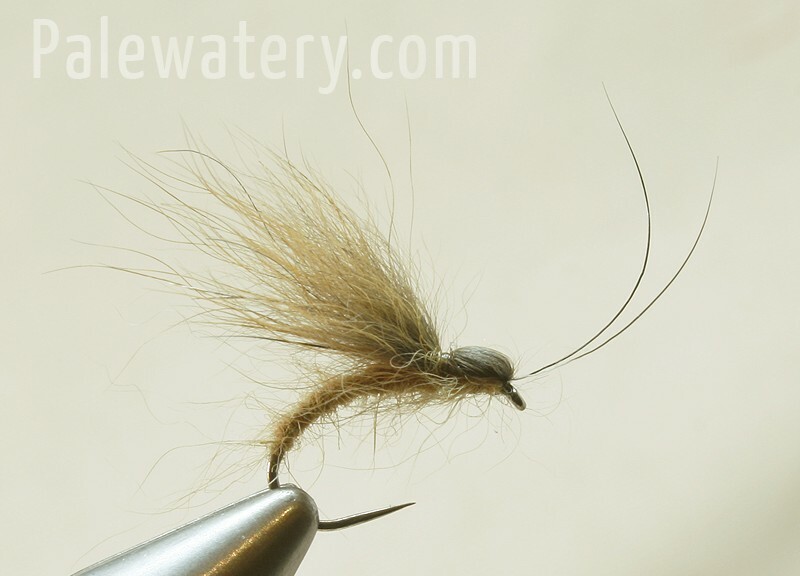 The hook used is also not the standard wet fly hook I would use but this is a good hook for easy release of caught fish after dark. 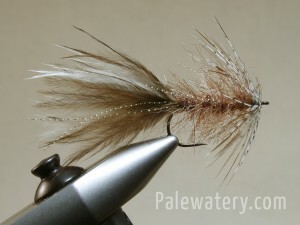 A more common hook to use would be the Partridge Wet Heavy Supreme G3A/L. A great bonus of being part of the Partridge of Redditch Pro-Team is from time to time you get to play with samples of new hook models, this time it’s the new Partridge of Redditch SUD2 hooks I get to try out. 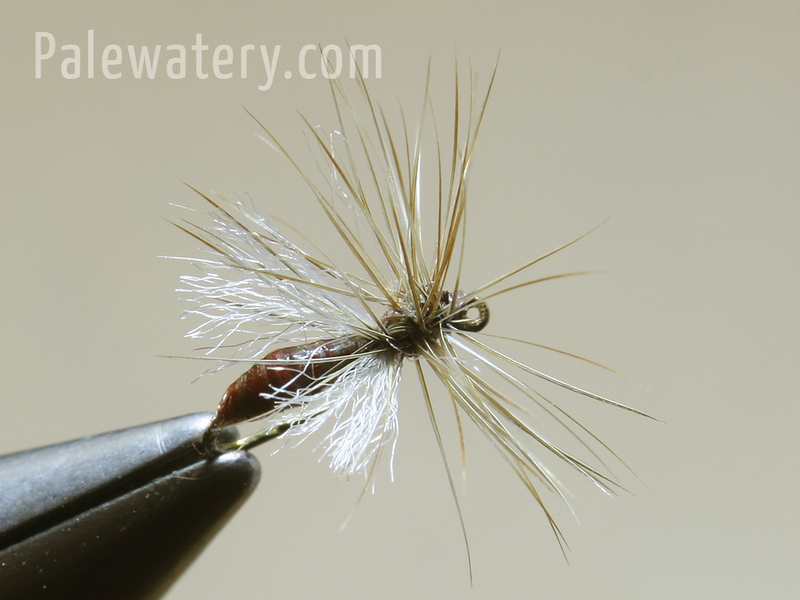 Great looking strong hook, quite short in the shank in comparison to other models meaning the #18 measures out closer in shank length to many #20 hooks, but well made with sharp point. 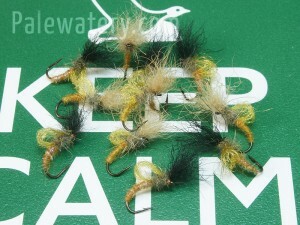 I’m looking forward to trying them out on the river. 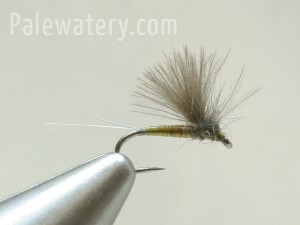 The Fox ‘n’ a Box has been tied more for a private joke than to fish with but I have fished with one similar, but made entirely with Fox, which was a fly a friend of mine picked up from Branco Gasparin when on holiday in Slovenia. 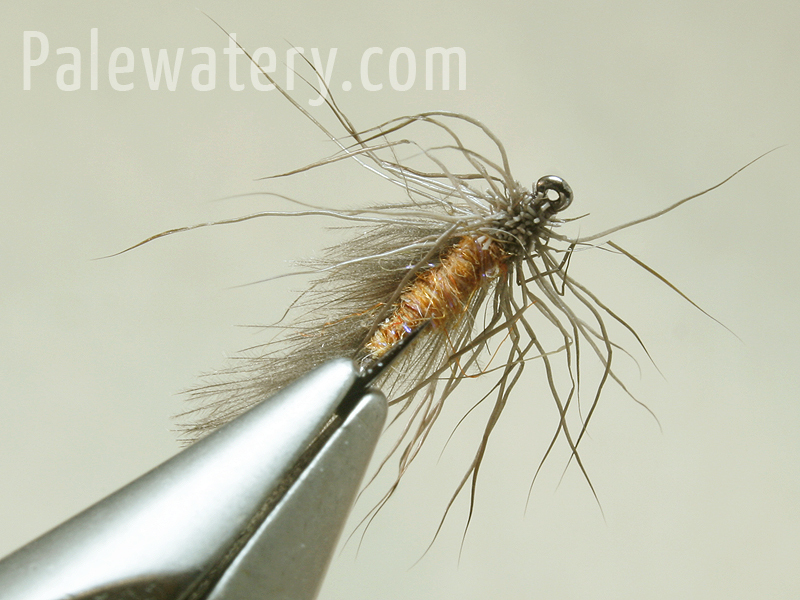 That fly worked very well as I remember and floated like a cork, I should really tie more. 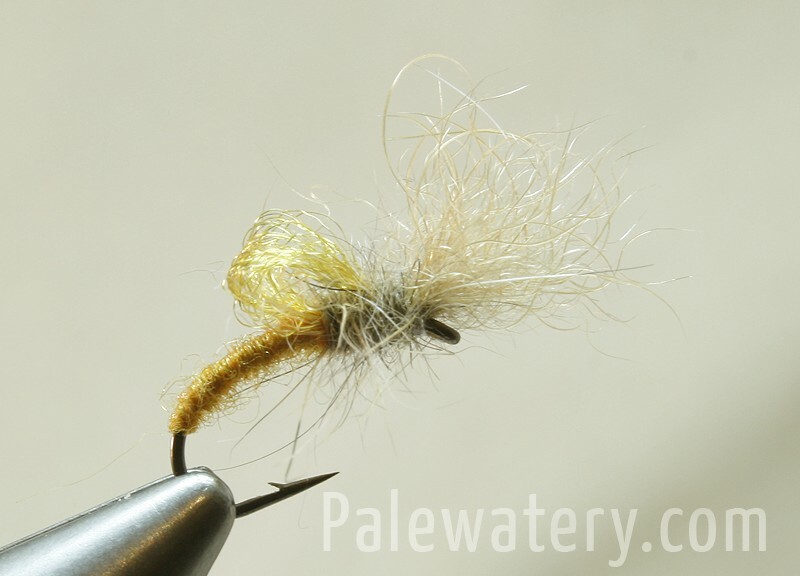 This fly should be fished dry as an emerger or egg laying Caddis and the fox fur used for the wing will float well for a while even without adding floatant, but as it eventually becomes waterlogged it actually works equally well as a drowned or post ovi-positing adult. Hook: Partridge of Redditch K4AY #12. Abdomen: Underfur from a Boxer Dog named Milla. 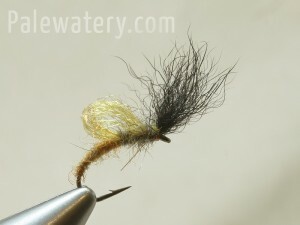 Wing, Head & Antennae: Slovenian Fox. 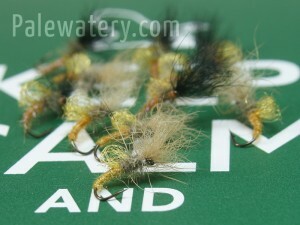 For the clearer water that comes with the more settled conditions that late spring and early summer brings to my local rivers. 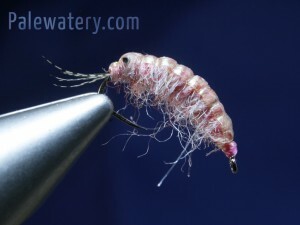 Covers the Blue Winged Olive hatch as well as the Baetis hatches throughout the year. Hook: Partridge SUJ Jig Hook, #18. Bead: 2.5mm slotted, Natural Tungsten. 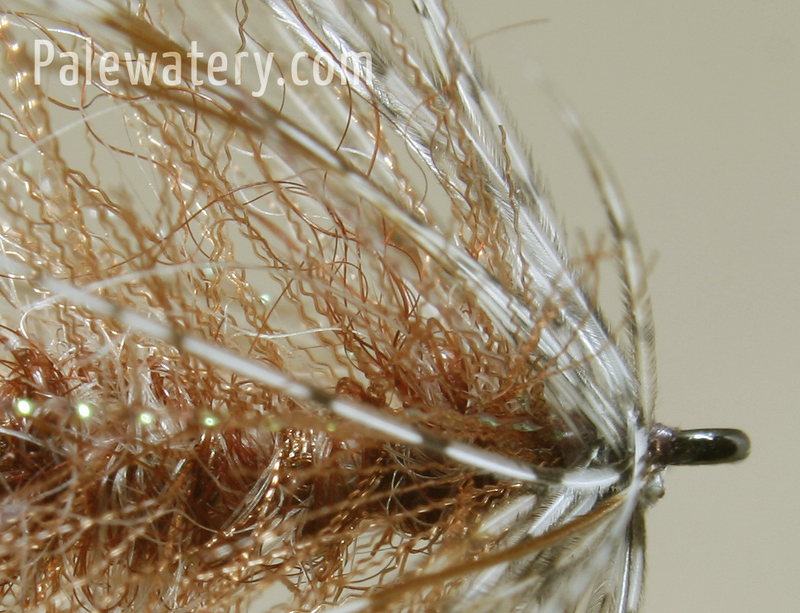 Thread: Semperfli Nano Silk 30D (18/0), Brown. Body: Semperfli Predator Fibres, Pheasant Tail. Hackle: Sparse CDC in split thread, Black. 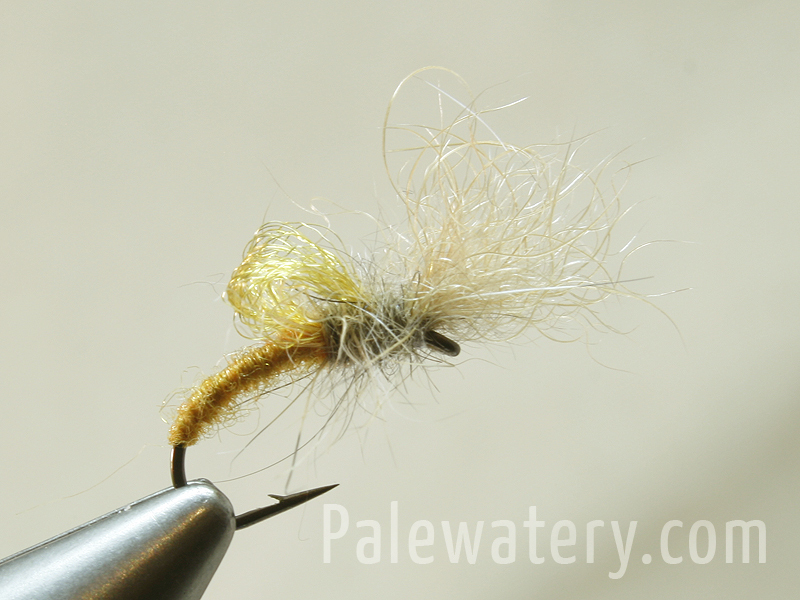 Wingcase: Semperfli Predator Fibres, Pheasant Tail. One for the summer fishing. 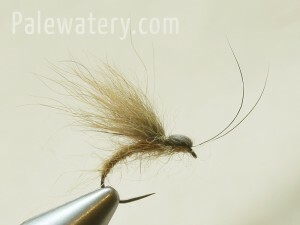 The short shank and wider gape of the Spider hook I think is ideal for this fly and the oversize paraloop hackle should keep the chunky body in the film. Based on a fly by Robert Mckay this is basically a super heavy nymph used to control the drift of a team of nymphs through fast water, rather than being purely sacrificial the extra movement and flash on this fly means it fishes like a dead drift mini streamer.